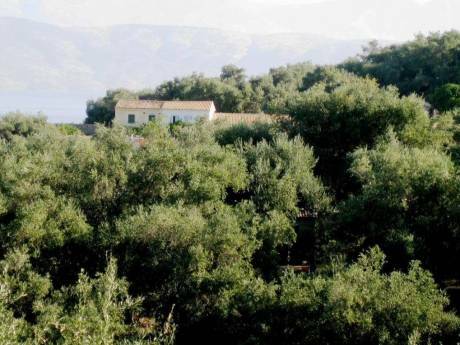 Our home is a spacious country house, in one of the most beautiful Attica beaches (Sxinias). It has got three big bedrooms, a big and sunny living room overlooking the sea, adjoining with a rather comfortable kitchen. From every single window of the house you have a panoramic view of the Aegean sea. Its location is ideal for both visiting Athens with all its historical sites while still enjoyning the sea and the calmness of the countryside. We are John and Avgi, a couple in our 50s, and we have a 14 year old girl, Lena. John is a chemistry teacher in the local highschool, and Avgi is an informatics teacher and a translator. We speak English, French and Spanish. We love to travel, we have already made two really successful exchanges to Denmark and Savoie (France) and we are looking forward to the next one! Our neighborhood is secluded and quiet, and still it is only 40 km away from the historic center of Athens. The long, sandy beach of Sxinias, surrounded by a forest of pine trees is only 5 minutes away, and for those who love privacy there is a wonderful rocky "beach" from where you can dive and explore the interesting deep blue waters of our sea. The historic town of Marathon starting point of the classical Marathon race, is 13 km away. 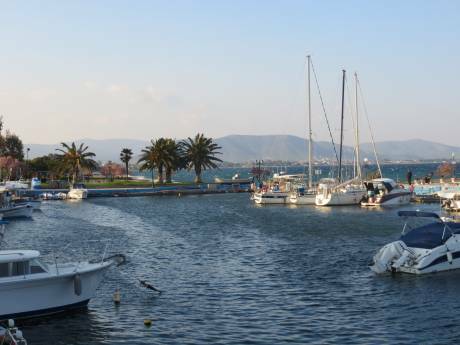 2 small ports of Attica, Rafina and Agia Marina, are 15-30 min away. From there you can get the boat to the picturesque islands of Mykonos, Tinos, Andros and Evia, if you wish to make a day or few-days trip to the famous greek islands. Day-trips can also get you to Peloponese (Nafplio, Mycenes, Olympia) or Delpfi.